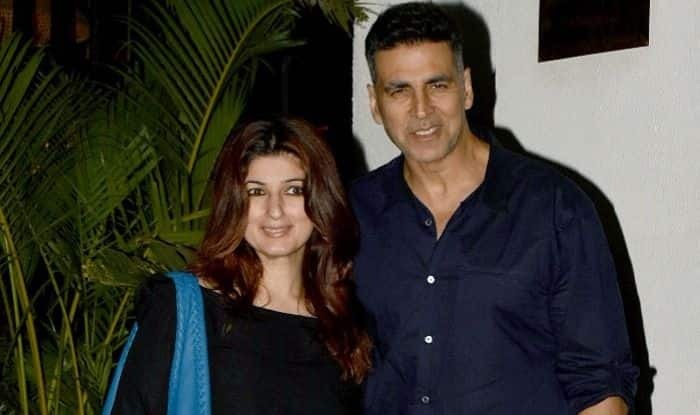 One of the most cutest couples of Bollywood Akshay Kumar and Twinkle Khanna was recently spotted out on a dinner date. Both looked lovely in their casual outfits. While Akshay donned a dark blue shirt with denims, wife Twinkle looked beautiful in a black top and blue denims. Akshay and Twinkle are the ‘IT’ couple of Bollywood who have done several successful films. They are blessed with two children – son and daughter – Aarav Kumar and Nitara Kumar. Today, the duo took out some time from their hectic schedule and went for a dinner date. They almost twinned with their outfits though we do not know if that was intentional. Akshay looked dapper in a dark blue shirt, denims and sneakers. Twinkle, on the other hand, kept it subtle yet stylish in a black top, blue jeans and white sneakers. On the work front, Akshay was last seen in Gold with Mouni Roy. He will be seen in war movie Kesari directed by Anurag Singh. The film will also feature Parineeti Chopra playing who will be seen playing his love interest. The movie tells of Havildar Ishar Singh, who participated in the Battle of Saragarhi. The film is slated to be released on March 21, 2019. Another film in his kitty is Sooryavangshi which is being directed by Rohit Shetty. This will be Rohit and Akshay’s first collaboration. Rohit’s last film was Simmba which starred Ranveer Singh and Sara Ali Khan. The film released in 2018 and did wonders at the Box Office and even crossed the Rs 100 crore club.